The Prinz Eugen, launched in August 1938, was the third of five heavy cruisers laid down for the Kriegsmarine in the 1930s. On 23 April 1941 she was damaged by a magnetic mine, but was repaired in time to sail for the Atlantic with the battleship Bismarck in May. 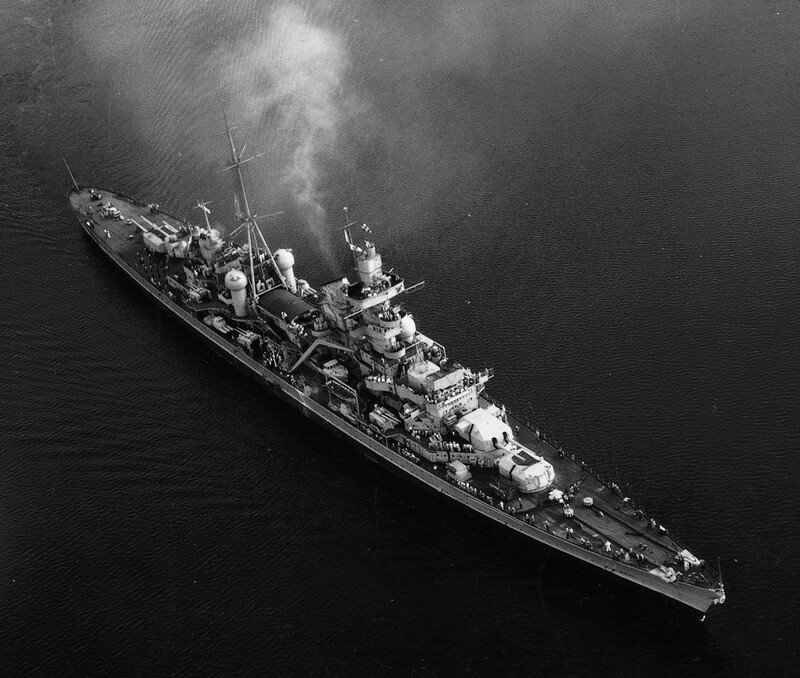 Prinz Eugen managed to elude the British warships hunting the Bismarck, having been detached to make her own way to the French Atlantic ports, and so escaped Bismarck’s fate, arriving at Brest on 1 June 1941 undamaged. On 12 February 1942 she took part in the famous “Channel Dash” with the battlecruisers Scharnhorst and Gneisenau, which totally humiliated the Royal Navy. She subsequently saw service in the Baltic with the Fleet Training Squadron, and in 1944 provided fire support to German forces resisting the Soviet advance. On 15 October 1944 she was badly damaged in collision with the light cruiser Leipzig. The end of World War II found her at Copenhagen, where she surrendered to the Allies. She was allocated to the United States and was used as a target vessel in the atomic bomb tests at Bikini Atoll in 1946, which she survived in a badly damaged condition. Her hulk was finally sunk by American warships at Kwajalein on 15 November 1947.